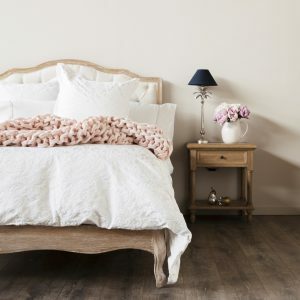 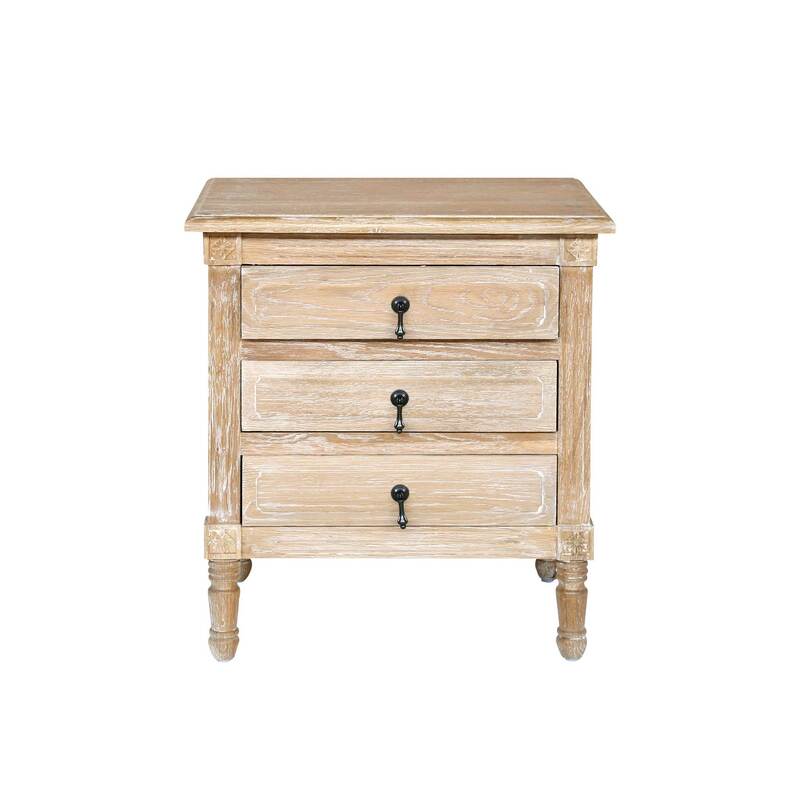 Complement your bedroom with this versatile, classic and natural oak bedside table. 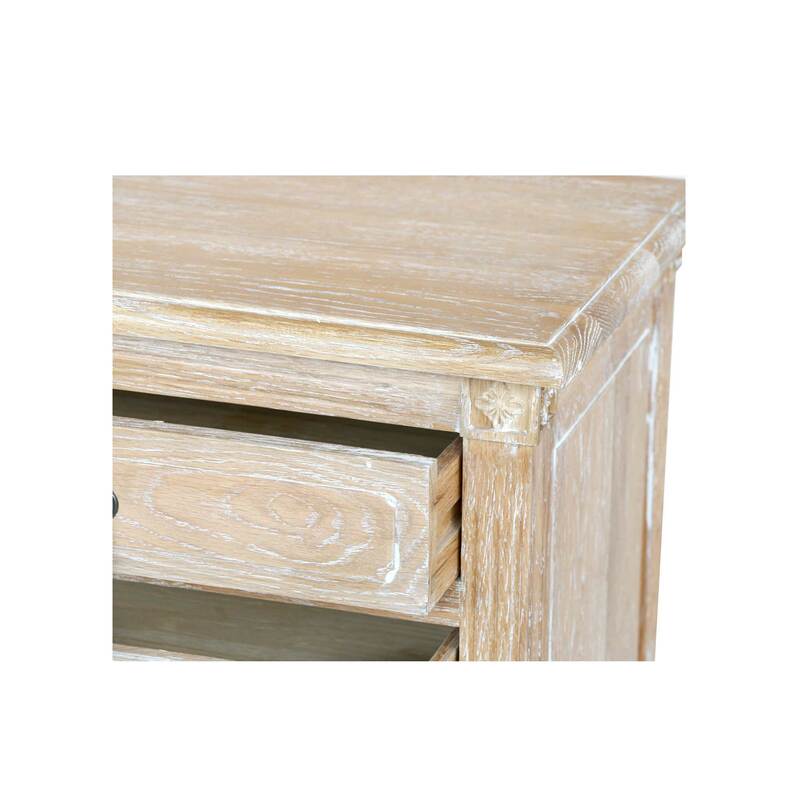 An attractive piece that offers a subtle feel of quality design and craftsmanship. 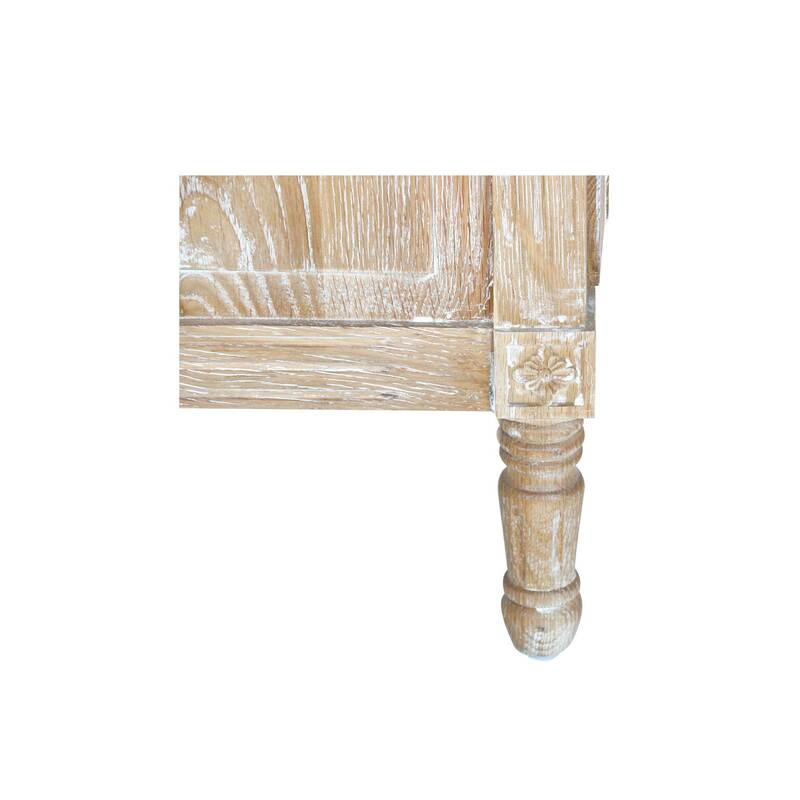 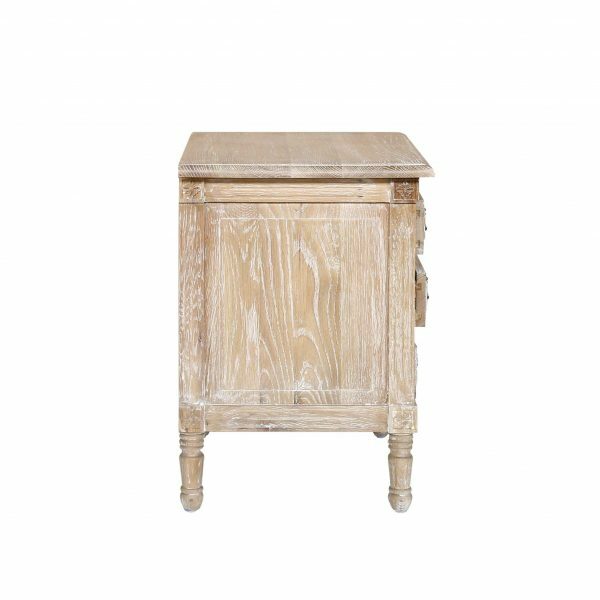 The Oak Bedside table features carved wooden patterns, adding character to the piece and your room. 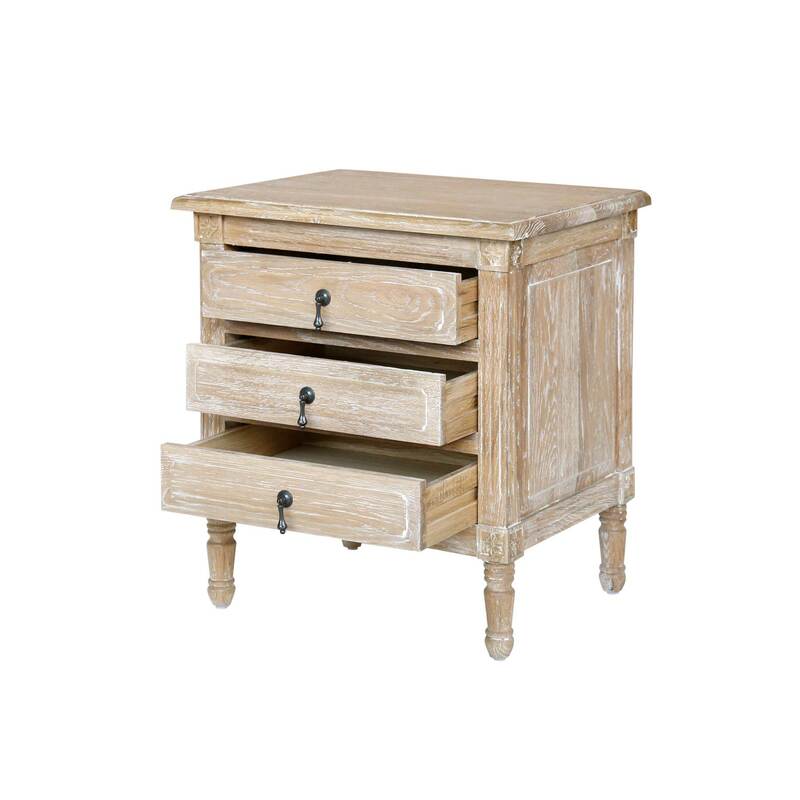 The three drawer table is finished off with bronze accessories that add a beautiful touch to the classic design. This Provincial Naturally Oak Bedside Table is unique in its design and features. 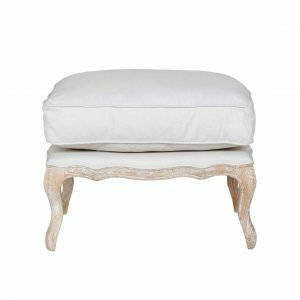 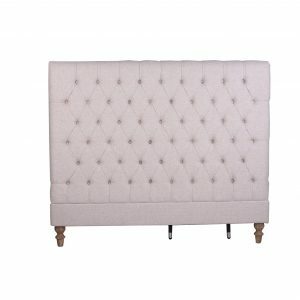 While the elements of the piece are classic in French design, it is modernised by its simplicity. Each bedside table is unique in its original timber markings and finished off with bronze drawer handles. The bedside table features solid timber legs that lift the piece to the perfect height while also adding charm to the design. The Oak Bedside table features carved wooden patterns, adding character to the piece and your room. 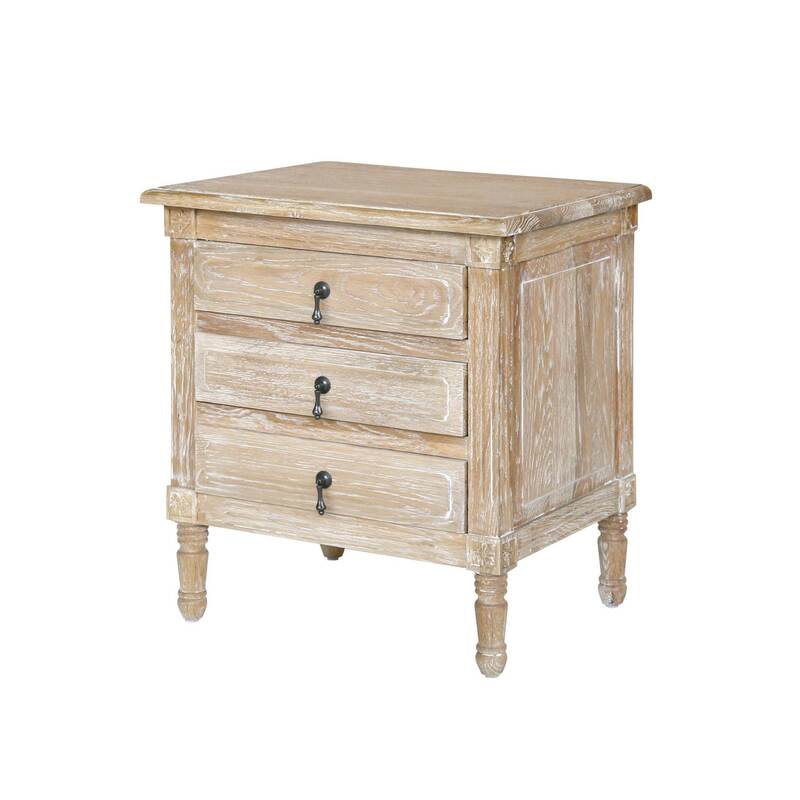 The three drawer table is finished off with bronze accessories that add a beautiful touch to the classic design. Each piece in our Provincial Table collection is handcrafted with high quality oak timber, care and quality craftsmanship, ensuring longevity in your home.